This wallpaper took me about an hour to complete. It is brighter then my usual style but I pretty happy with the final product. It features my favorite couple, Sakura and Syaoran, from the manga Tsubasa reservoir chronicles. Credit to http://www.livejournal.com/users/blimey_icons/ for the texture. hmm... not bad.. not bad at all. I really like the typo. really beautiful. I like it a lot, especially the background texture... but what's that big green spot above the typo? 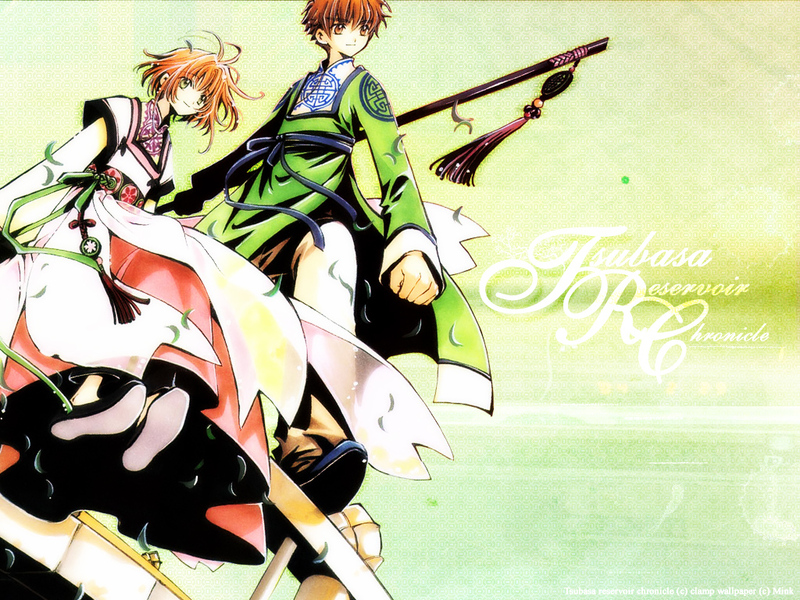 Syaoran and Sakura fit perfectly! You have done a great work! This is really my most fav wallie of all!